I’ve always loved the Impressionists and the painting that famously started the movement by Claude Monet in 1871. 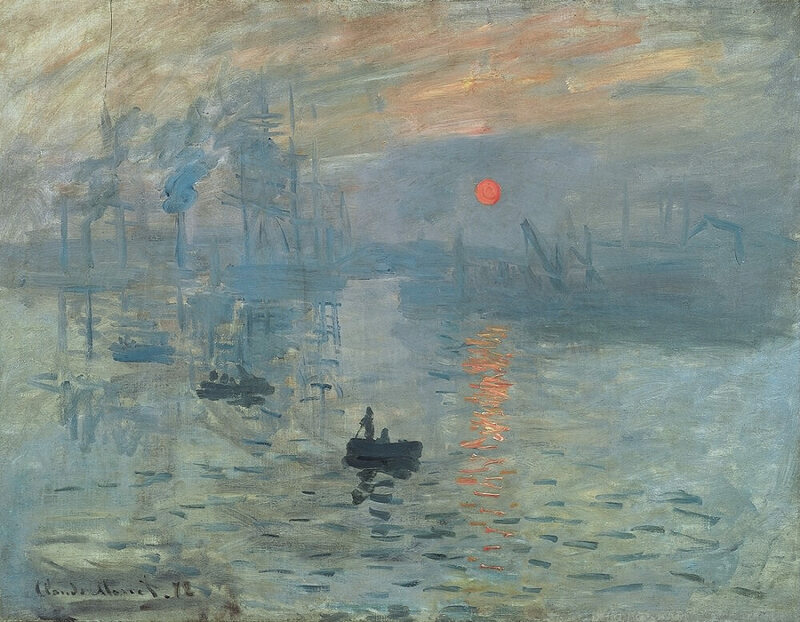 Monet was sitting in exile the Savoy on the Strand during the Franco- Prussian war when he painted his sunrise. I chose to take his boat and figure and put it in my interpretation of a sunrise.